excitemelove: celebrate last day of summer! celebrate last day of summer! are you starting packing up your summer mood, getting ready for autumn? hmmm... I know , not yet! what about one final celebration of the warm summer season ? invite your best friends for a laid-back get-together! no need to fuss too much about it. just make some cool fresh smoothies & a couple of tea-sandwiches & relax in the garden, the balcony, or in the living room under the fan! if you are up for it, we can open a bottle of bubblie! the last day of august if the best day to exchange summer stories & possibly make new promises for next summer! ps: here is a great idea to freshen you up! 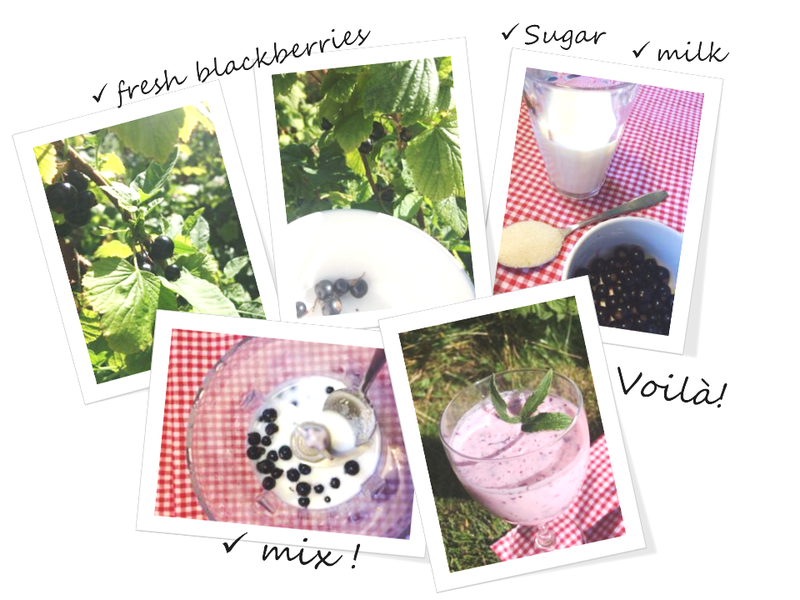 use any kind of berries you like, blackberries, blueberries, raspberries, you name it, add a bit of sugar to your like and pour a bit of milk ! blend the mix for a couple of minutes and Voilà!